i love braids. they're cute, fun, flirty and easy. kind of like the best friend you've always wanted. the great thing about braids is that they take a basic hairstyle and make it fresh. does your messy bun need a makeover? try a french braid from the base of your neck upwards. re-fashion that bun in no time. wearing your hair down? again? 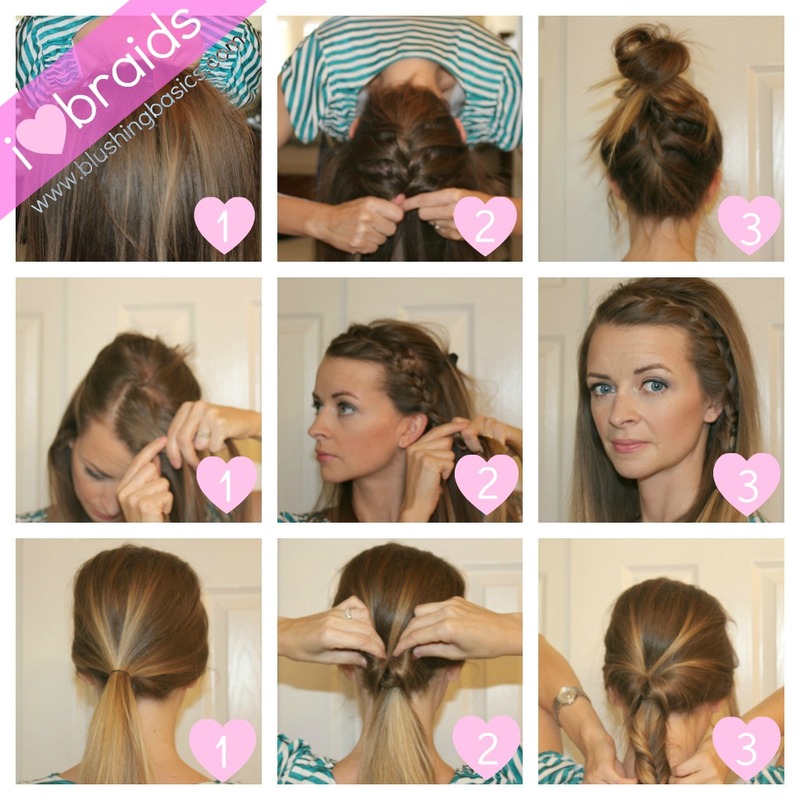 braiding your hair will give that no-style hairstyle a much needed perk. ponytails are my go-to. [for some reason my 3 year-old daughter hates when i wear messy buns] to add a quick twist to the basic pony, i topsy-tail the pony, fish tail the end (make sure to pull the braid a bit to make it messy) and voila! new do. take this one step further by rolling up your braid and bobby pin it as a chic chignon. click through links here for a video tutorial on how to create a braided headband or how to get that Lauren Conrad front braid. learning how to braid your hair takes a little bit of practice. once you have it mastered, your styling options are limitless. I love braids too!! I do these do's on my daughters all the time, but have a hard time doing them on myself. I guess the more practice the better I'll get!! i'm seriously lacking in my french braid skills- i can't get them tight enough or they're crooked- but I could totally do fish tail one. cute!